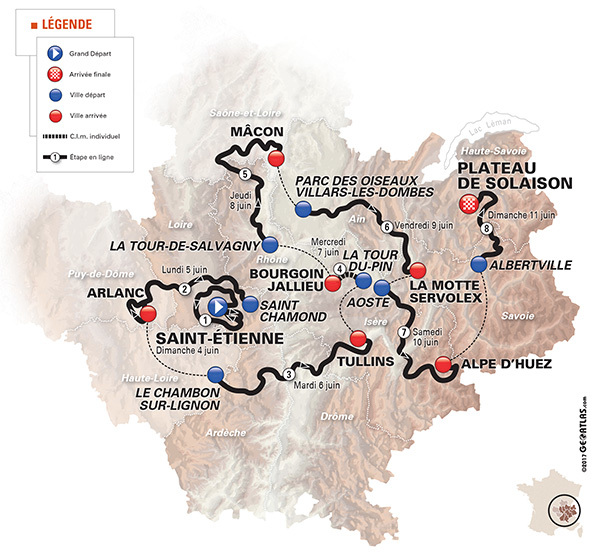 With the stakes high in more ways than one, the Critérium du Dauphiné will take the pack from Saint-Etienne to the Plateau de Solaison for its 69th edition between 4th and 11th June. 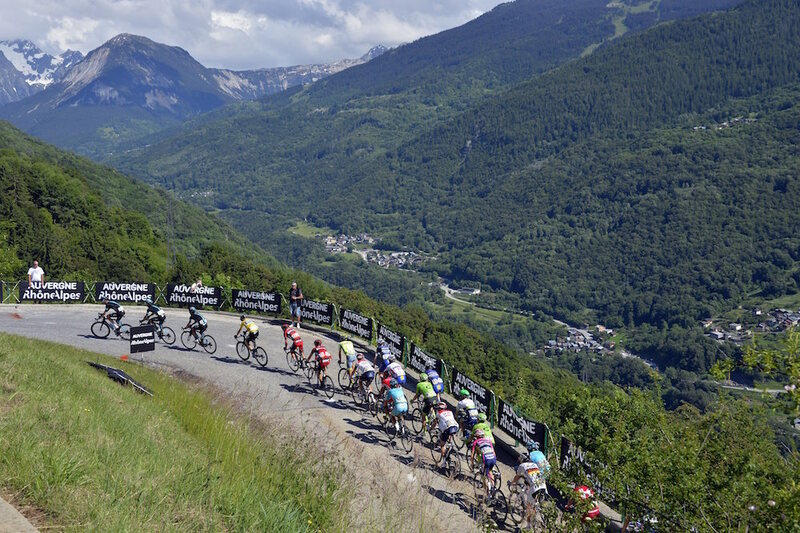 Several weeks before the Tour de France, the main favourites will do battle, in particular on a hitherto untried climb up the Alpe d’Huez. 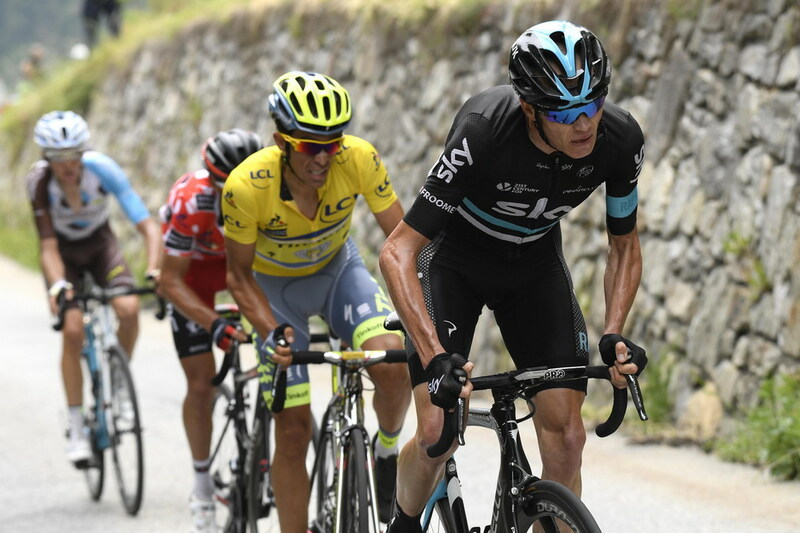 The three times winner and title holder, Chris Froome, will be up against rivals who have shown themselves to be sharper than him since the start of the season, such as Alejandro Valverde and Alberto Contador, but also Romain Bardet, Dan Martin, Richie Porte, Esteban Chaves or Fabio Aru. Statistics are often wrong, but do actually raise some pertinent questions. As he prepares to tackle the Critérium du Dauphiné, Chris Froome will probably not waste much energy fretting about them, but one fact cannot be ignored: since he became team leader with Sky, this is the first time that he has reached June without a single victory to his name. Mitigated starts to the season did not prevent him from winning on the last two editions of the Critérium du Dauphiné, but in 2017, Froome’s best result so far is a 2nd place picked up on a stage of the Tour of Catalonia. The contrast is especially striking when compared with the man who beat him on the Catalan roads that day, Alejandro Valverde, who will be one of his rivals at the start in Saint-Etienne. With total mastery of his art on the Spanish stage races just like on the Ardennes classics, “El Imbatido” (the unbeaten one) has fully justified his nickname so far this year and could add to the two titles he has already won on the Dauphiné (in 2008 and 2009). The Movistar team leader will also be taking on Alberto Contador, who has finished 2nd four times this season on stage races. The energy and temperament that the man from Madrid displayed on Paris-Nice, for example, could enable him to grab a first title on this race through the Alps, giving his chances a boost as the Tour de France approaches. However, Christ Froome’s rivals will not only be Spanish. The biggest threat in 2016, on both the Dauphiné and Le Tour, came from the French clan, with Romain Bardet as his closest pursuer. The AG2R team leader, after a convincing performance on Liège-Bastogne-Liège (with a 6th-placed finish), will be tackling the key sequence of the season with the aim of confirming or improving his status. The case is very much similar for Dan Martin, 3rd on Paris-Nice last March, just like on the Dauphiné in 2016. The list of pretenders for the title obviously also includes Richie Porte, who came up just short of the podium last year. However, his success on the Tour of Romandie, as well as on the key stage of Paris-Nice on the Col de la Couillole pass, is a testimony of the progress made by the Australian since he left Team Sky. Among the outsiders capable of excelling, former winner Andrew Talansky has proven on the Tour of California (with 3rd place in the general classification and a stage win at Mount Baldy) that he is not far from the level he was at when he triumphed in 2014. Watchful eyes will also have to be cast over Colombian Esteban Chaves, who is preparing for his first Tour de France after having climbed onto the podiums of the two other grand tours in 2016, as well as Fabio Aru, deprived of participating in the 100th Giro d’Italia by a fall, or Louis Meintjes.